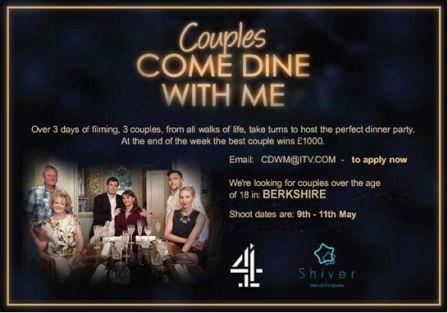 Hit TV show Come Dine With Me are on the hunt for couples based in Wokingham and surrounding areas for their newest series. “Following the success of previous episodes in the Reading and surrounding areas we are back looking for perfect partnerships to create the recipe for success. The shoot will take place between the 9th May– 11th May 2018.